Even if it's initially in the form of a website or simple template site -- is one of the most important things we can do to give credibility to our business. However we choose to establish our business online, we should consider three things: the basics, the functionality, and the content. Starting a business requires careful planning and preparation.Increase your business skills and knowledge so you will know how to start a business that has the greatest chance of succeeding. Information, training and advice is readily available on all aspects of business management such as business planning, resource and risk management, budgeting and decision making. Owners of existing businesses have overcome many hurdles in the pre-planning and start up stage. However, existing business owners continue to face a variety of challenges. Business owners must effectively use limited resources to improve their position in the market while continuing to manage the critical aspects of business operations.To achieve long term success, business owners must also work to lay the foundation for future growth and adapt to changes in the marketplace. The use of advanced research and reporting software enables each decision to be quantified, meaning all web design and marketing efforts are completed with an informed understanding of the marketplace and consumer behavior. Speed, usability, functionality; optimised online performance means a better business. 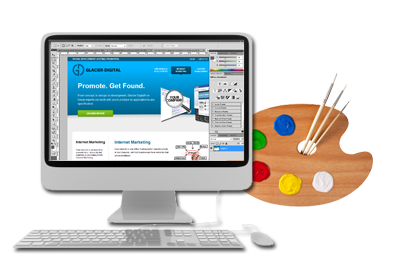 Is your site generating leads for your business? If it not, it’s time to get serious about intelligent web development. Glasgow based, our team of highly skilled web developers work with national and international businesses to help them flourish and grow online, with an eye firmly on the future. The more we understand, the more we can help identify with your customers, designing crisp and professional looking websites that appeal to your needs, and are easily found in the search engines for the right search terms. Serving a large number of businesses across a broad range of industries, we are confident in providing affordable and effective web solutions for all business types, regardless of budget.